Do you know the shelf life of your skincare? Natural products have a much shorter shelf life than conventional products that are loaded with petrochemicals and synthetic preservatives. We think that is a good thing! After all, you should be treating your face to the best and freshest products possible. 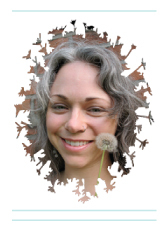 Blissoma skincare uses enzymes and plant extracts to keep our products free from contamination. Even with this preservation, however, you can expect our products to generally last just about a year to a year and a half from the date of production. This varies by product and the stresses to which the item has been exposed. A shelf life of just a year and a half is dramatically different from many conventional commercial cosmetics which are tested to last 3 to 5 years. Even those need to be tended to and weeded out periodically, though. Remember that lonely bottle of foundation, moisturizer, or any other item in your medicine cabinet that has been there since the dawn of time? Allow me to be your friendly reminder to discard old product and avoid exposing yourself to the hidden bacterial or fungal dangers that may be lurking there. My general rule is if I haven't used a particular item for a whole year I discard it. Any items not part of your regular routine are superfluous. While going unused they will just sit and breed trouble. Not to mention that a streamlined medicine cabinet makes morning and evening bodycare routines SO much easier! 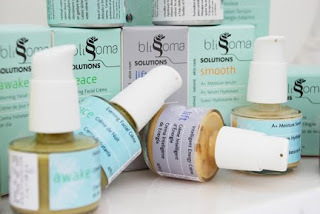 Our Blissoma line generally packages products in containers that keep fingers out of the product and minimize the air to which the product is exposed. One exception to this is our clay mask, which is in a wide mouth jar. The thicker quality of this product just would not allow it to be pumped well, so it had to be placed in a container where it could be scooped out. Because it will be repeatedly exposed to air and any bacteria present on fingers whenever the mask is used we recommend that you use it completely within 4 months of initial opening. The first portion of the number tells you when the batch was produced. This item was made 10/15/2009. I'll be back with Part 2 of our Skincare Shelf-life Primer soon. Until then, be fresh - be beautiful!